The term "semolina" is derived from the Italian word "semola" which is from the ancient Latin word "simila", meaning flour, itself a borrowing from Greek σεμῖδαλις "groats". 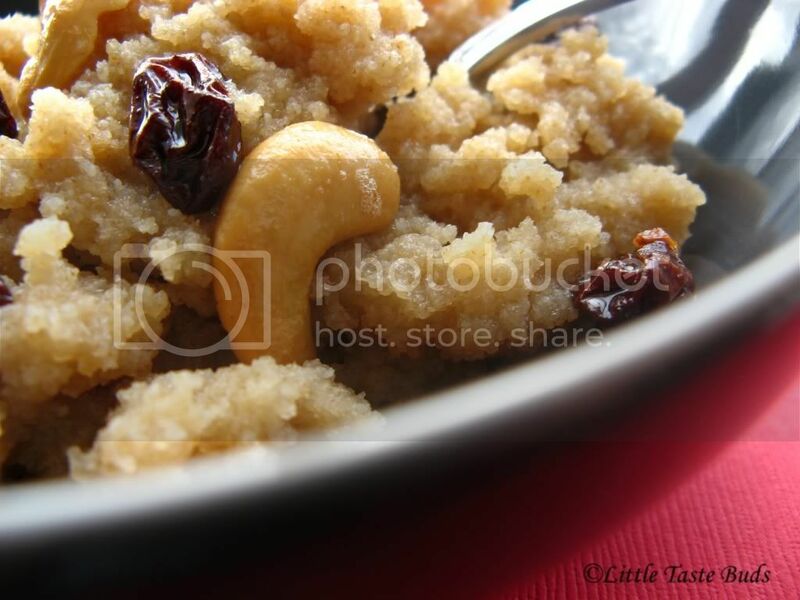 Semolina, made from durum wheat, is known in North India as Sooji; in South India, Ravey in Kannada, Rava / Ravam / Ravai (ரவை) in Telugu/Tamil, in Tamilnadu, semolina is also made of rice. 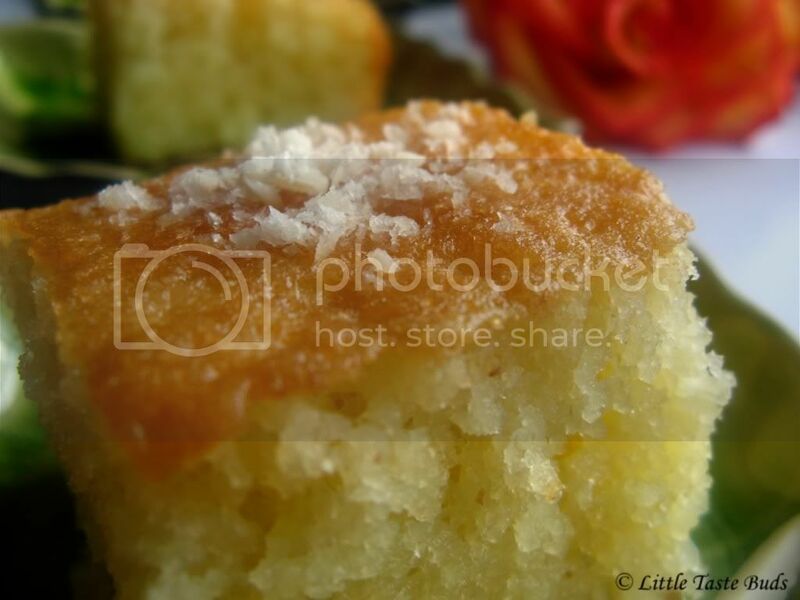 In Turkey, semolina is known as irmik. I had this delicious dessert at Greek festival, from then this has become one of my favorite desserts. It is easy to make and delicious to eat. I will share the recipe for an egg-less sibling of Revani soon. 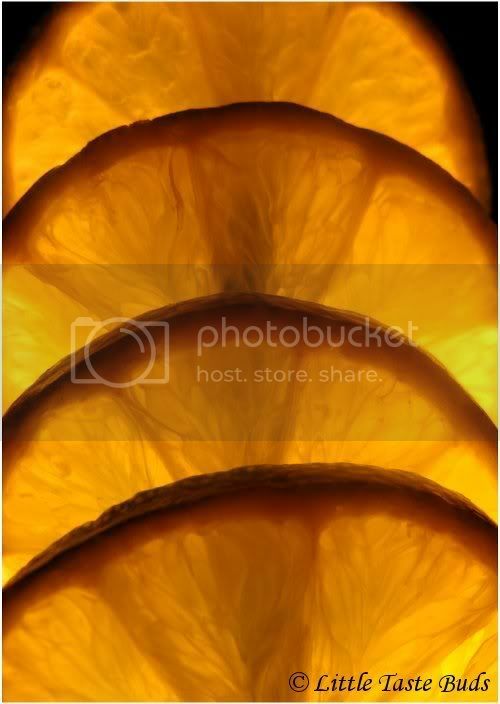 In a medium pan boil water and add the (1½ cups) sugar for the syrup, cinnamon, cloves and lemon juice, boil until the sugar dissolves in high heat and then for 15 minutes in low heat. Strain the cinnamon and cloves and cool down the syrup. Pre-heat the oven for 350˚F. Grease the 9 X 12 baking tray, in a separate bowl mix semolina, all-purpose flour, chopped almond and baking powder , set aside. In another (large mixing) bowl add the softened butter and vanilla extract then add the sugar slowly a little at a time and beat well. Add the eggs one by one and beat well, then slowly add the semolina mixture and beat continuously. Pour the mixture into the baking tray and bake for 30 minutes or until it turns golden brown. 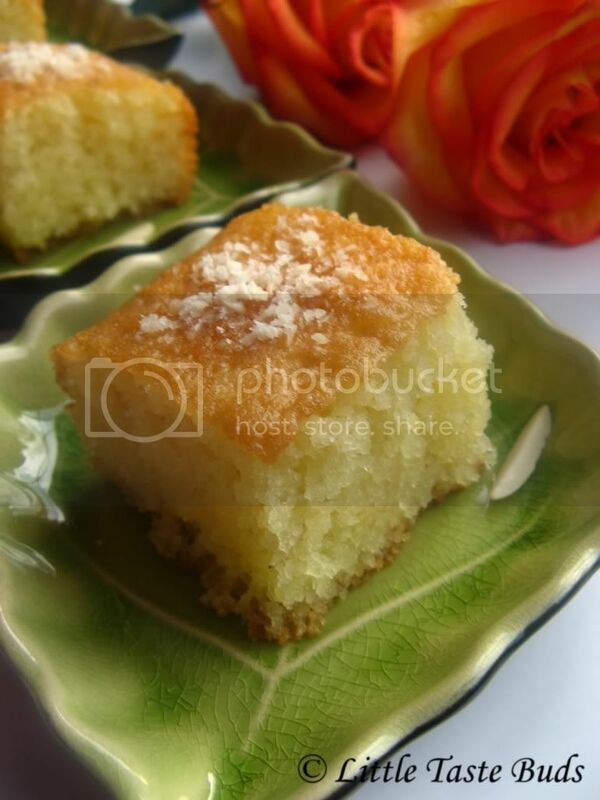 Remove from the oven and make few pokes about 2mm using the knife-edge then pour the sugar syrup all over the cake. Cut into squares and garnish with almonds. Hello friends, I'm back........I know it was a long break. I was occupied by some other thing so I wasn’t able to concentrate on my blog. 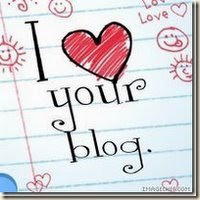 I missed the enjoyment of reading the comments and lot of new and mouth watering recipes from my fellow bloggers. I tried to post few times, but was not able to. I was a bit lazy too. Finally I decided to post a recipe today. I came back with a dessert. I hope not many of you know about Kasakasa(Poppy seeds) halva, this is one of my and my hubby’s favorite desserts. Lets start …. Soak the poppy seeds for 15 hours. Drain the water and grind the poppy seeds with milk to a paste (not so smooth), set aside the paste. Boil water and add the sugar to make syrup. Once the syrup is ready, add the poppy seeds paste, butter and stir continuously so that it does not get burnt and until it does not smell raw. When the oil shows up on sides of the pan and it turns into halva consistency then it is time to remove it from heat and garnish it with the fried cashews and raisins. This can be stored on fridge for a good 2 weeks and you can serve cold or warm. 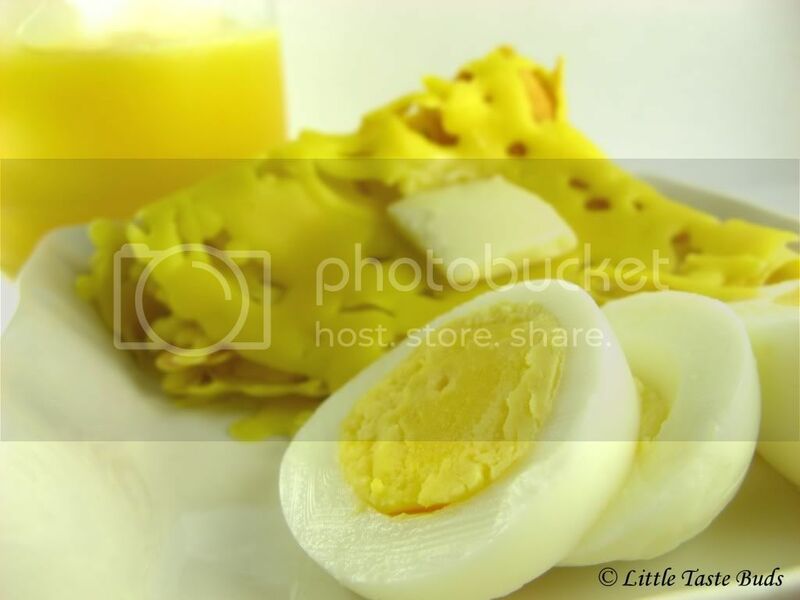 Roti Jala (Lacy pancake / Net bread)- The name is derived from the Malay word 'roti' (bread) and 'jala' (net). A special ladle with a five-hole perforation is normally used, to make the bread looks like a fish net . I don't have this mold , but i wanted to try this recipe. So my hubby made me a mold using a styrofoam cup. Yeah....he made 4 holes at the bottom and my roti jala mold was ready. 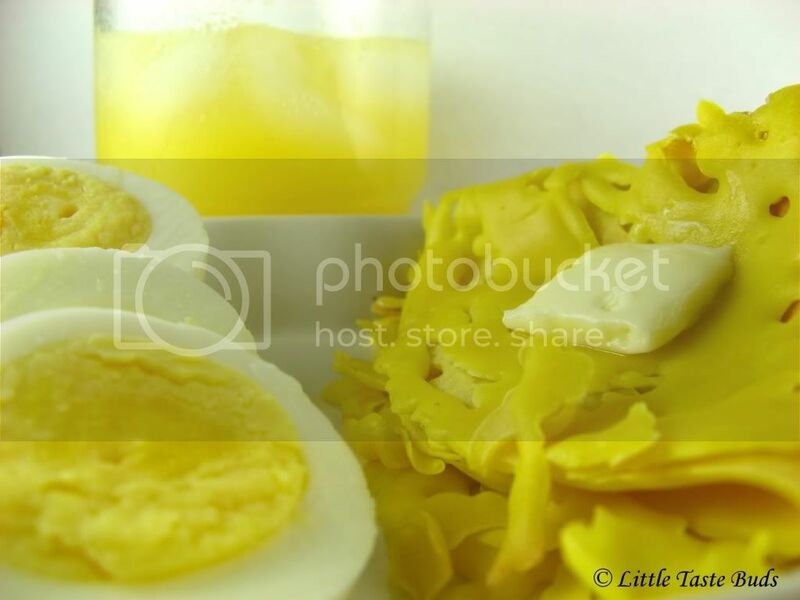 In a big bowl, whisk the egg and add all other ingredients except oil and mix well. Heat a pan over medium heat and grease with the oil. Pour the batter into roti jala mold and transfer the mold to the pan in circular motion around the pan, it will look like a net. Once the top is cooked, fold into a triangle shape and transfer into the plate. 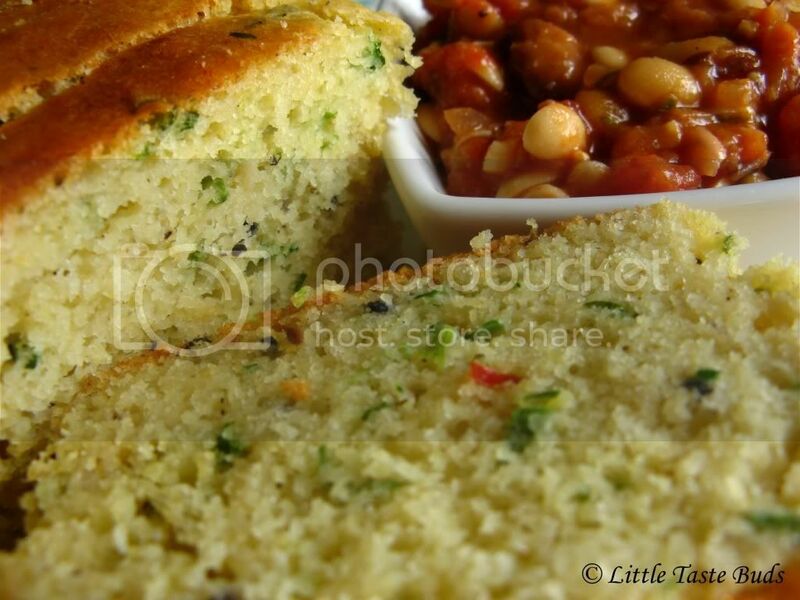 Traditionally this will be served with spicy chicken curry or Serawa. Serawa is made from a mixture of boiled coconut milk, brown sugar and pandan leaf, I tried it with a spicy curry and I will post the recipe later. One of the picture goes to Click event by Jugalbandi. I always love the spicy breads. I tried from "the bread book" by Sara Lewis. I made this bread on a rainy weekend, it just came out perfect. We enjoyed this bread with soybean soup and a cup of hot tea. I added few ingredients to the original recipe to make it a bit spicier. Heat 1 tsp of oil in small skillet, shallow-fry the garlic, cumin and sesame seeds one by one, keep aside. Grease a 7"X3" loaf pan and keep aside. In a large mixing bowl, add all the dry ingredients with butter, cheese, chilies, onion, fried cumin , garlic and sesame seeds. Whisk the eggs, milk and yogurt together in another bowl, add to the dry ingredients and mix well. Spoon the mixture in to the cake tin and bake in a preheated oven, 325 F for 45-55 minutes or until risen and turned golden on top. Check the bread by poking with a skewer, if it is comes out clean then the bread is ready. Transfer to a wire rack and let it cool. Lemons are said to have been first found in North India, China and Burma, and was introduced in Persia, Arab countries, Iraq and Egypt in around 700 AD. Lemon trees were grown as ornamental trees in Mediterranean gardens. The drink we now recognize as lemonade may have origins in a mix of lemon juice and honey wine popular in Egypt some 1500 years ago. Lemonade is the French word for their original unsweetened version combined with either still or carbonated water.Click here to know more about lemonade. In a small saucepan, bring sugar and water to a boil under medium heat until the sugar is dissolved. Remove from heat and let it cool completely. In a big container, add simple syrup, lemon juice and water to make lemonade. 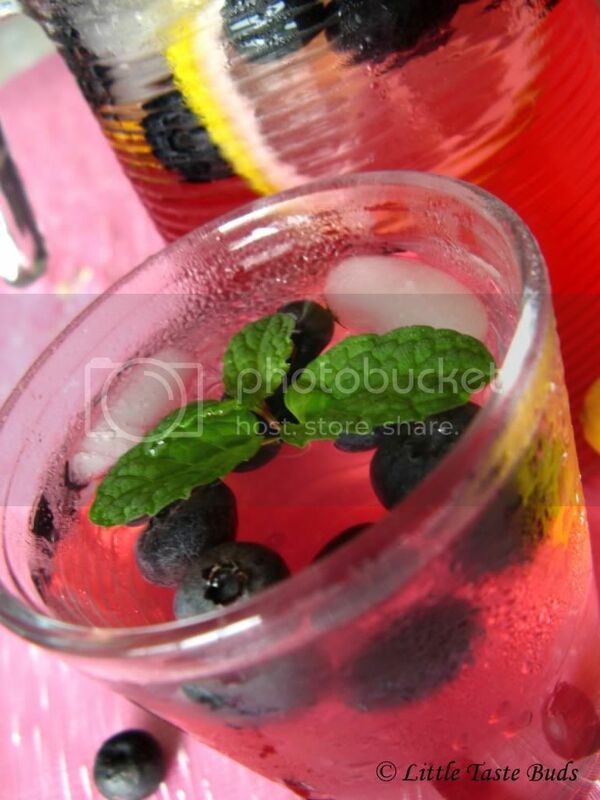 Squeeze a few blueberries in ¼ cup of water to get the flavor and color. 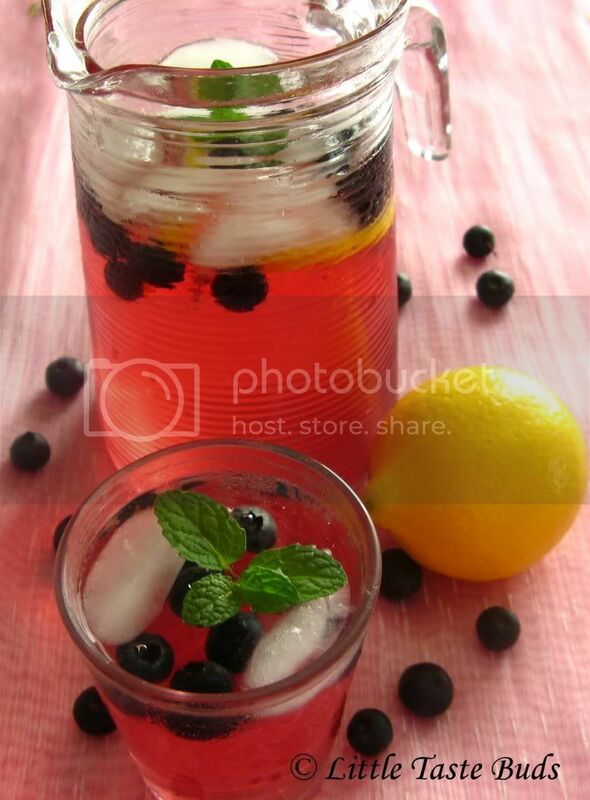 Filter the big chunks and pour the blue berry flavored water along with the rest of the blueberries into the lemonade mix. Stir well and garnish with mint strings. Add water and Ice per your taste. 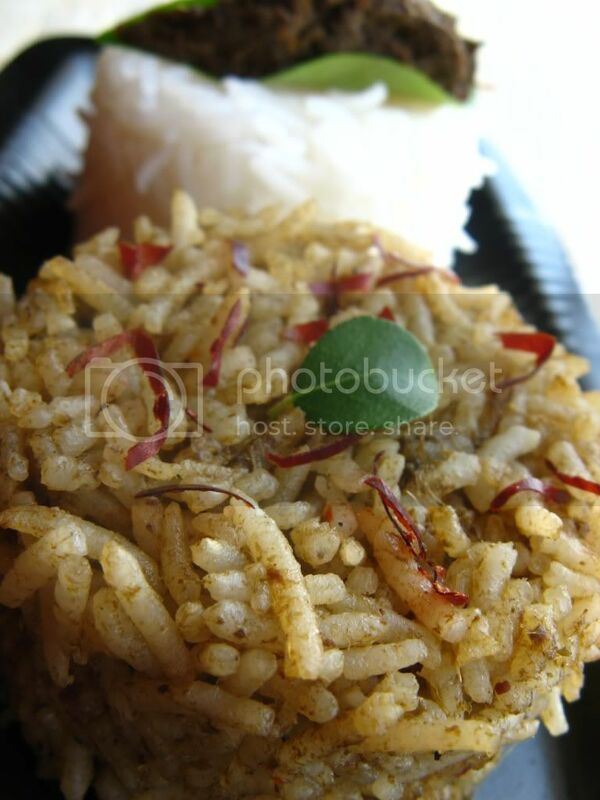 The Curry Tree or Karivepallai or Kadipatta (Tamil: கறிவேப்பிலை) (Murraya koenigii; syn. Bergera koenigii, Chalcas koenigii) is a tropical to sub-tropical tree in the family Rutaceae, which is native to India. It produces the leaves known as Curry leaves or Sweet Neem leaves. The curry leaf tree is native to India, Sri Lanka, Bangladesh and the Andaman Islands. Later spread by Indian migrants, they now grow in other areas of the world where Indian immigrants settled. Widely cultivated, the leaves are particularly associated with South Indian cuisines. The use of curry leaves as a flavouring for vegetables is described in early Tamil literature dating back to the 1st to 4th centuries AD. Its use is also mentioned a few centuries later in Kannada literature. Curry leaves are still closely associated with South India where the word 'curry' originates from the Tamil 'kari' for spiced sauces.Click here to know more about the history of curry leaves. Curry leaves are beneficial in constipation, stomach problems, kidney disorders, vomiting, nausea, burns and bruises, insect bites, spots and rashes, premature graying of hair. 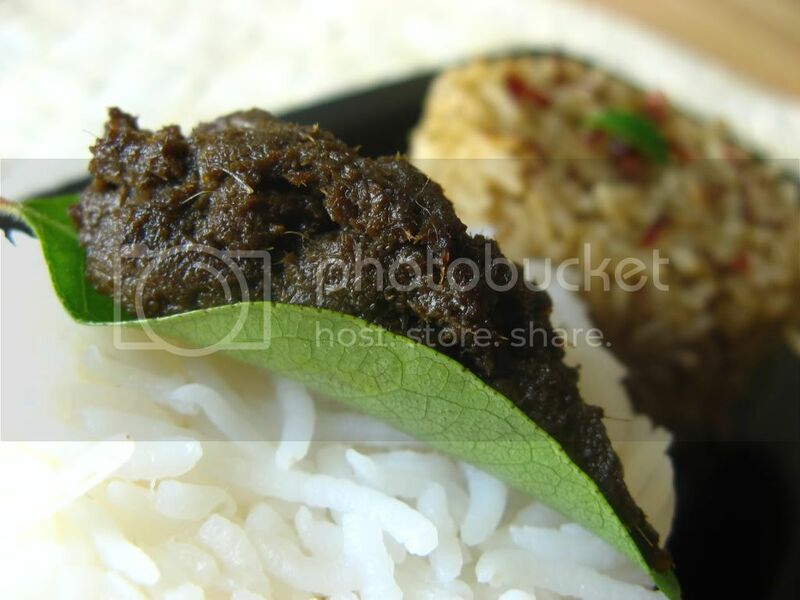 Click here to know more about the benefits of curry leaf. Grind all the ingredients except oil, add 1-2 Tbsp of water if you need. In a heavy bottom pan, add 2 Tbsp of oil. Add the ground curry leaves paste and stir until all the water evaporates from the paste. Add this paste to the rice and mix well. Add more paste or salt per your taste. Can store this paste in refrigerator for 1-2 weeks. I have submitted this picture to click event by Jugalbandi. Heat oil in a medium skillet in medium heat; add garlic and all other sauce ingredients one by one. Add some water and bring it to boil. Try the taste and add the ingredients as per your need. Let it boil for 4-5 minutes. Soak the Rice sticks in warm water until soften but don’t let it soak until it becomes soft enough to eat. (Then it will be mushy when you cook). Drain and rinse with cold water and keep aside. In a large nonstick skillet, heat 1 tablespoon of oil over medium heat. Add the Bok Choy and stir well for 1-2 minutes or until Bok Choy is cooked. Add the soft tofu and stir constantly for a minute so it looks like scrambled eggs (if it is firm /extra firm tofu pan fry and add it at the end, also you can add fried shrimp if you like). Heat the remaining oil in a pan over medium heat. Add garlic and shallots, sauté until shallots become translucent. Add the Rice sticks and cook until it becomes soft, if it sticks in the pan add a tsp of oil and cook. Stir swiftly and continuously. Add the tofu mixture and sauce. 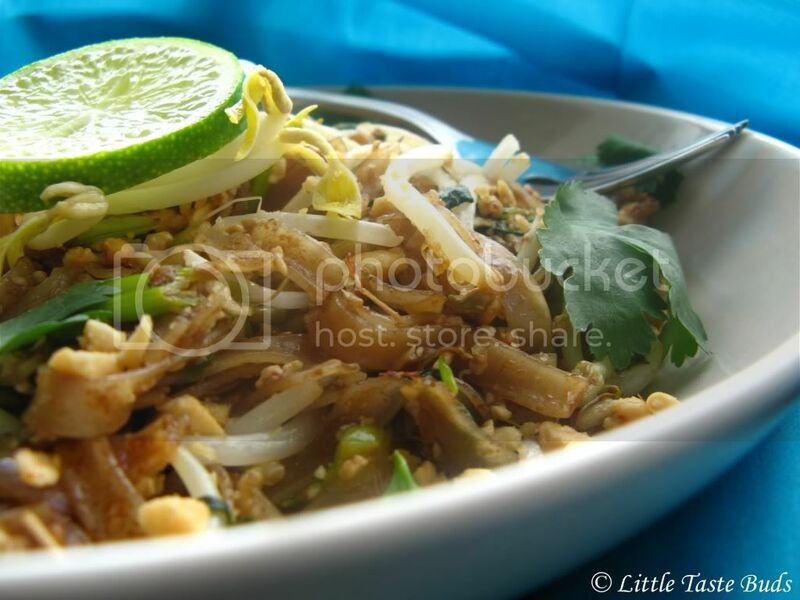 Check for taste, add the green onions,soy sauce and bean sprouts toss well until it becomes wilt .Remove from the heat and garnish with crushed peanuts, lime and cilantro. Heat the oil in medium pan. Add mustard seeds and cumin seeds, after it starts to splutter add the garlic and green chilies. Sauté until the garlic turns golden brown. 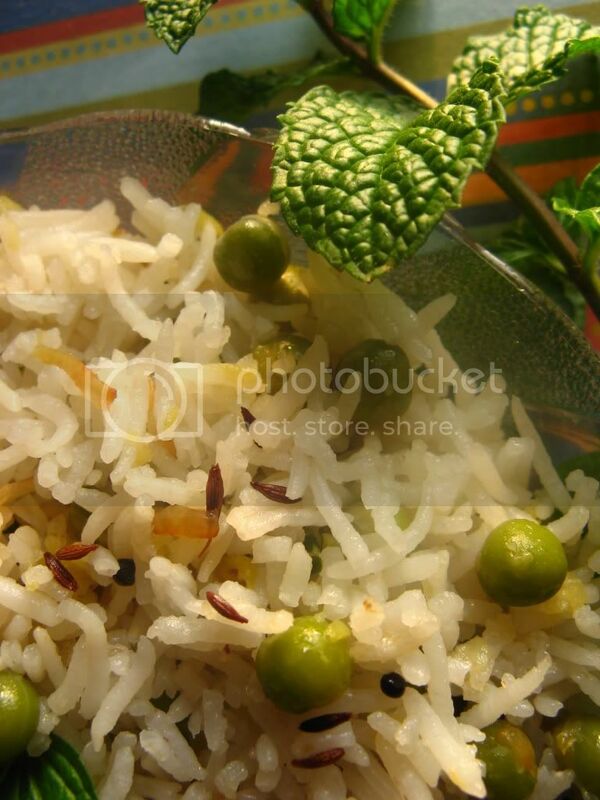 Add the shredded green mango, salt and green peas, stir well for 3 to 4 minutes in medium heat. Once the mango is cooked or soft enough, add the rice and stir well to mix. Optionally garnish with mint and serve. 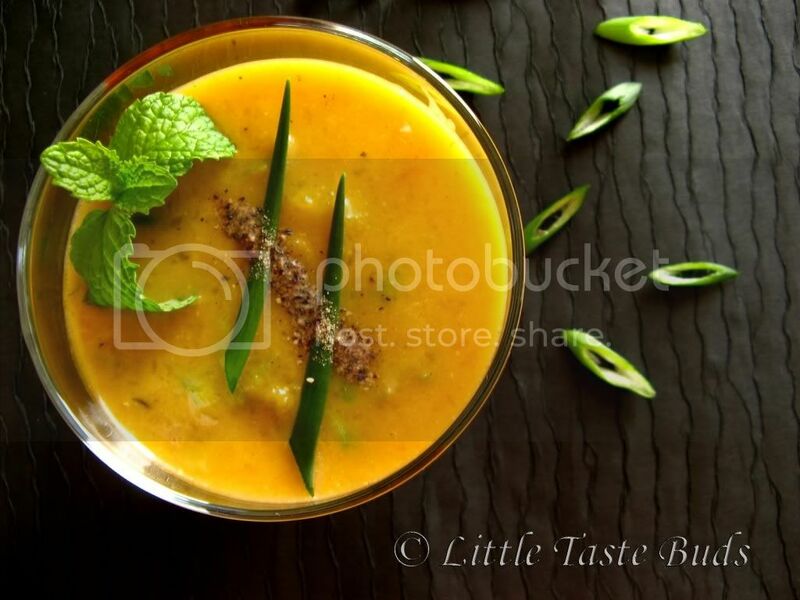 Tip : For it to be more tangy you may add more mango. Finger millet (Eleusine coracana) is originally native to the Ethiopian Highlands and was introduced into India approximately 4000 years ago. It is very adaptable to higher elevations and is grown in the Himalaya up to 2,300 meters in elevation. Finger millet is especially valuable as it contains the amino acid methionine, which is lacking in the diets of hundreds of millions of the poor who live on starchy staples such as cassava, plantain, polished rice, or maize meal. Click here to know more about Finger millet. 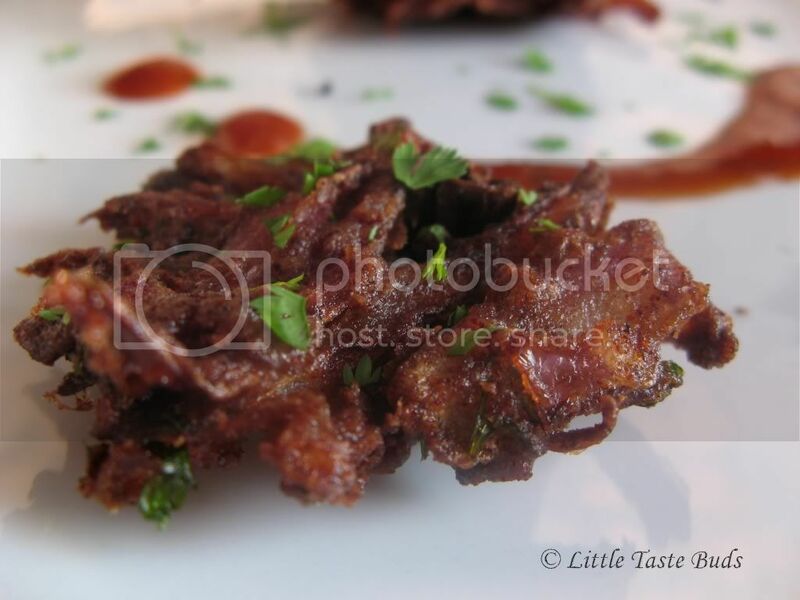 In a big bowl add Onion, Red chili, Cilantro, Curry leaves, Butter - mix them well and then add the Finger Millet / Ragi flour and mix well. In a medium pan heat the oil for deep fry. Divide the mixture into two parts and add salt to one part. This will avoid the Onion shedding more water; which would make the mixture watery. If the flour is too dry you may add 1 or 2 tbsp of water to make the flour just enough to hold the mixture together. Fry the first batch little by little then add salt to the second batch and follow the same for send batch. 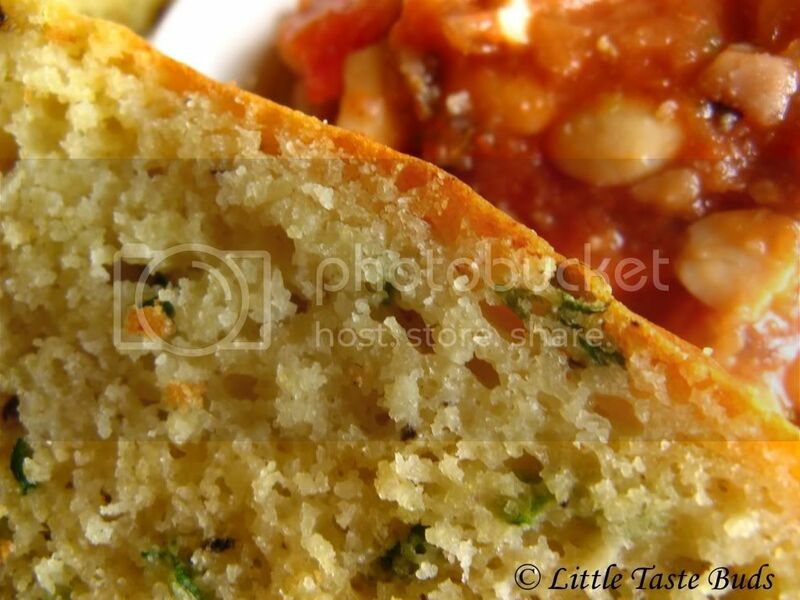 Garnish with Cilantro and serve with Tomato or your desired hot sauce. Tip: For those who don't like too much Onion, use less Onion and more flour. Also that allows you to have it for a couple of days. I'm so delighted for this award and thanks (Sowmya, Shubha, Preethi) a lot for your appreciation, that's what keeps us going. I would like to pass this lovely award to Ramya , Renuka , Jyoti , Rush , Bergamot , Aruna , Veena , Rekhas kitchen , Priti , Sowmya . 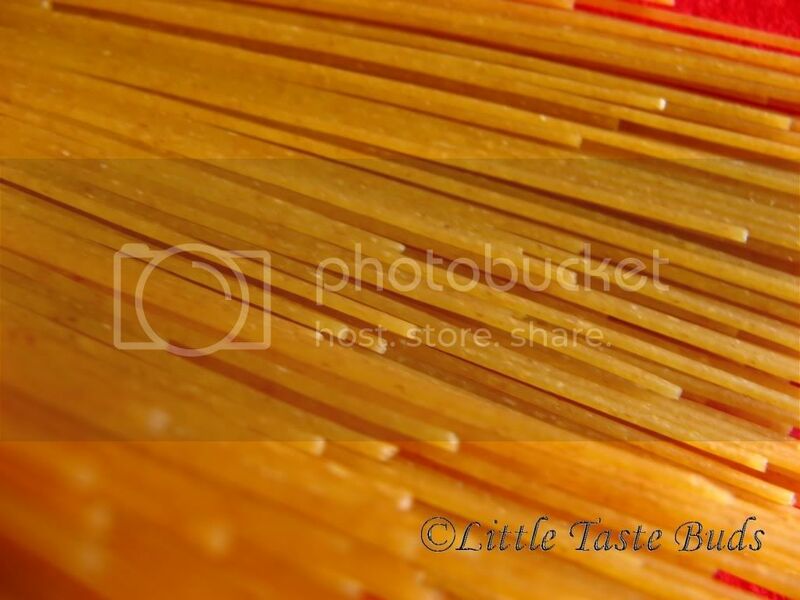 There are many different theories on where and when spaghetti was invented. Popular history says that it was invented in China, and that Marco Polo brought the knowledge of this food to Venice. The spaghetti, Polo encountered (and presumably tasted) in the far east was made from either rice flour or hard wheat flour (long noodles made from both grains exist in eastern cookery). It is generally accepted that the variety of durum wheat known in Sicily during the Middle Ages was, like lemons and oranges, introduced by the Arabs. And that brings us to the pivotal part of the story. Early in 1154, shortly before the death of Sicily's monarch, King Roger II, and about a century before the birth of Marco Polo, a court chronicler and geographer named Abu Abdullah Mohammed al Edrisi (or Idrisi) completed a detailed geographical survey of Sicily. The content of the resulting opus, known to us as The Book of Roger, encompassed not only Sicily but other regions as well. A casual observation in the Book of Roger mentions that in the Sicilian town of Trabia the inhabitants made a form of pasta from hard wheat, and that this product, shaped into long strands, was manufactured in large quantity for export to other regions. 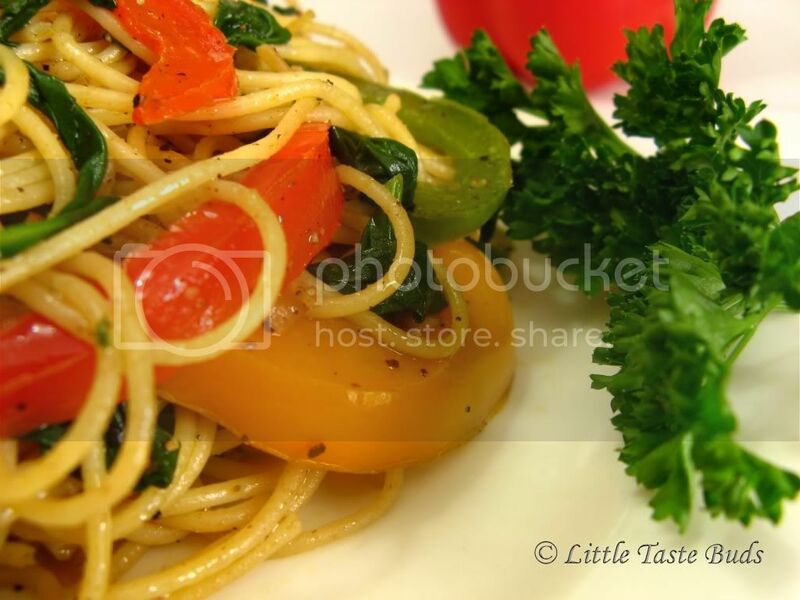 click here to know more about spaghetti. In a large skillet, heat oil over medium heat. Add garlic, cook and stir for 30 seconds. Add green, yellow, red peppers, black pepper and pinch of salt. Cook by stirring frequently until the vegetables are tender. Add pasta and parsley stir gently to combine all the ingredients. If you need more black pepper add it and toss well and cook for a minute in a low heat. Sending this to Presto Pasta Nights,this week hosted by Daphne. 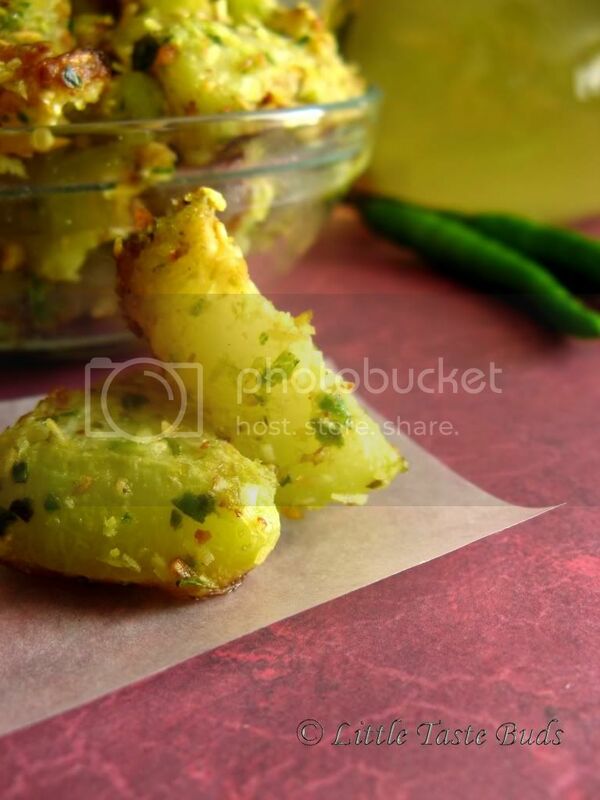 The chayote (Sechium edule), also known as Sayote, Tayota, Choko, Chocho, chow-chow, Christophene, Mirliton and vegetable pear is an edible plant that belongs to the gourd family Cucurbitaceae along with melons, cucumbers and squash. It's also an excellent source of Dietary Fiber, Vitamin C, Vitamin K, Folate, Zinc, Copper and Manganese. Costa Rica is a major exporter of Chayotes worldwide. 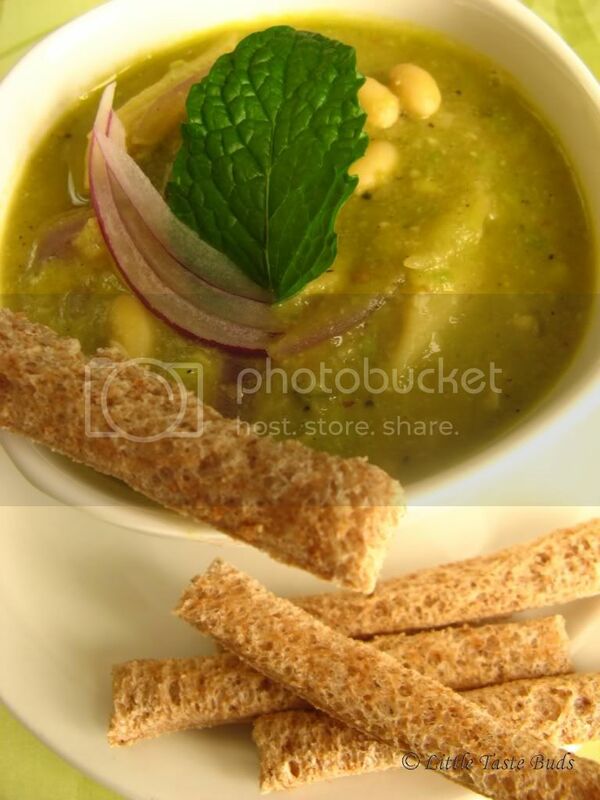 Click here to know more about chayote squash. Pressure cook the Chayote for 1 whistle. Heat the oil in a pan and add mustard seeds, let it splutter then add onions and salt. Sauté the onions until they become translucent. Then add the paste and sauté until you feel the aroma of coconut and curry leaves paste. 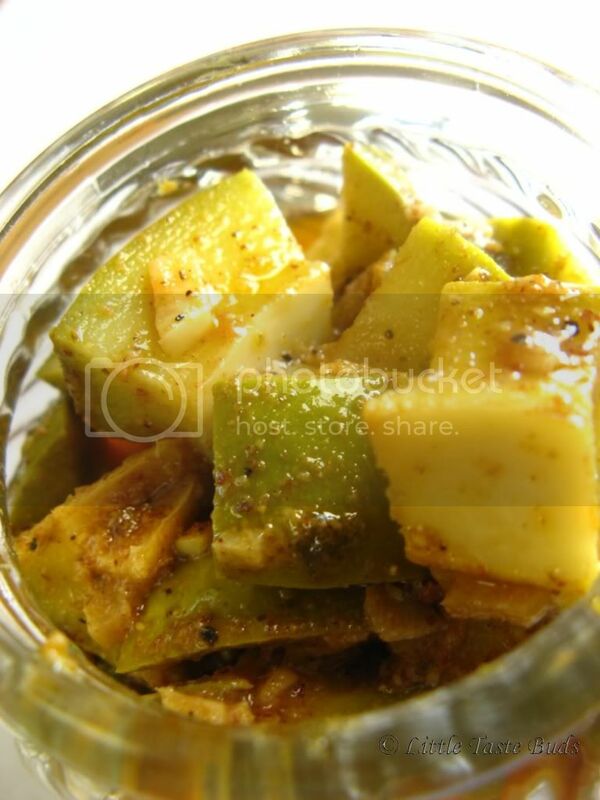 Add the pressure cooked Chayote and pan fry until it become tender. 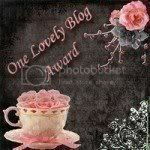 I would like to add a special thanks to Padma and Shubha for passing the "I love your blog" award. Heat 4 Tbsp of butter in a large, heavy-bottom skillet. Add the shredded beets with a pinch of salt (as a sweet enhancer) and cook for 10-12 minutes, stirring, until soft, and add milk and sugar and stir for another 8-10 minutes, until the milk is mixed well with the beets like the milk has evaporated. Meanwhile In a small skillet dry-fry 2 Tbsp of coconut and sugar, until coconut turns golden brown, also fry the cashew nuts using the remaining butter. Add the cardamom powder to the beets and stir well before switching off the stove. 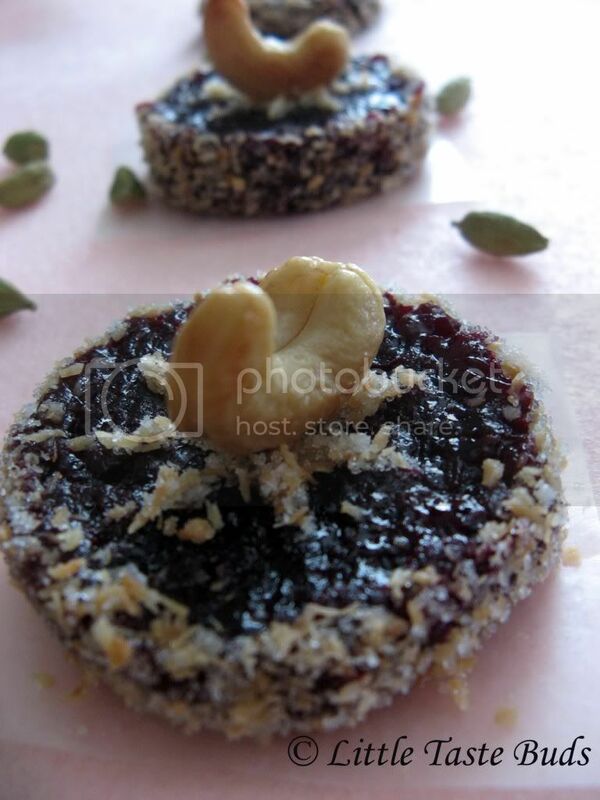 Make small disks of the cooked beet. 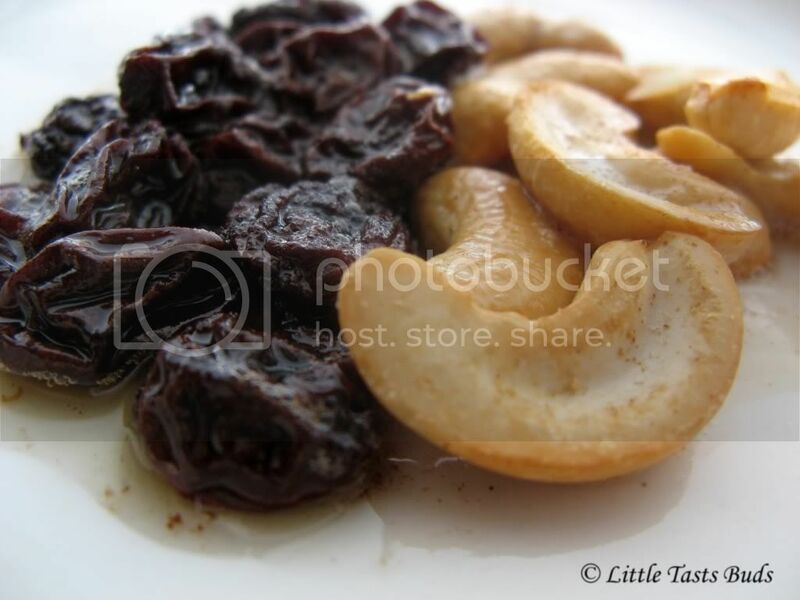 Garnish with coconut and cashew nuts. This is an African method of preserving the green mango. It is almost like an Indian pickle. I got a lot of green mangoes from my friend. So I made few recipes with that. One of them for your taste buds. This is less spicier than the Indian pickle. I found this recipe here. But I made my own curry powder for this recipe. Mix salt with water in a ceramic or glass container; stir until salt dissolves to make the brine. Add the cubed mangoes into the brine. Let it be alone for a day in room temperature. Drain well and transfer into an other jar.Boil the vinegar and pour it on the mango and mix well. Make the curry powder by blending the all the ingredients (for the curry powder). Heat 2 tbsp of oil; add green chili and garlic, sauté till you smell the garlic flavor. Add the blended curry powder and turn off the stove and add the remaining oil, stir for a few seconds. Pour the hot oil mixture on the mango, mix well and store it in refrigerator for atleast for 3 days but 5 days would be great before serving. The avocado is very popular in vegetarian cuisine, making an excellent substitute for meats in sandwiches and salads because of its high fat content. The fruit is not sweet, but fatty, distinctly yet subtly flavored, and of smooth, almost creamy texture. About 75% of an avocado's calories come from fat, most of which is monounsaturated fat. Avocados also have 60% more potassium than bananas. They are rich in B vitamins, as well as vitamin E and vitamin K. They have the highest fiber content of any fruit - including 75% insoluble and 25% soluble fiber. If you like to Know more about avocado click here. Heat the oil in skillet, add onion and saute until it turns translucent. Add the tomatoes and saute until it becomes tender.Add the pasta,soy bean and pepper and let it cook for 5 - 8 minutes in medium flame. Mash the avocado with lemon juice and mix with the cooked pasta and soy bean mixture, bring to boil and remove from heat. If you like the creamy(thick) soup add 2 tsp of corn flour before adding avocado. Pumpkin is a kind of sweeter in taste but they are very low in fat and low calorie vegetable, also they are a rich source of potassium. And they are good anti-oxidants with beta-carotene in them. Pumpkin was sitting in my fridge for more than a week. 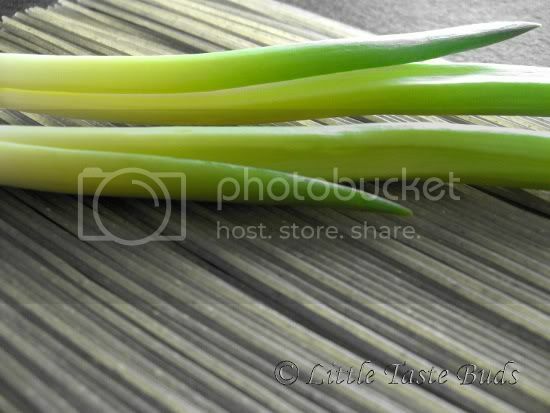 Before expire, I decided to make a soup with spring onion. Let’s start the recipe. This is my first entry for Click event by Jugalbandi. Heat the pan mildly and cook the pumpkins until tender (with the lid on). Mash the pumpkins and set aside, heat the oil in a large pan, add cumin seeds when it starts to sizzle add ginger and spring onion. Stir for 3 - 4 minutes, add water (depending on required consistency) and all other ingredients and bring it to boil. Optionally garnish with spring onion, mint and add a dash of ground black pepper.